This temple stands next to the Srinivasa or Venkataramana temple in Tirupathi in terms of revenue. Like the Srinivasa temple, this too attracts people from all faiths-including Vaishnavas, Shaivites, Jains and Buddhists. But what sets this temple apart from perhaps all other religious structures in the country is the presence of a 400-year-old mosque within its vicinity. This could be the only temple in India which has a mosque inside. A rare and centuries-old example of Hindu-Muslim unity, which is the need of the hour today. Though the main deity of the temple is that of Shiva, there are shrines to Anantha Padmanabha, Kodanda Rama and a host of other gods. No wonder, people from almost all the sects of Hindus throng the temple in thousands. This is the temple of Raja Rajeshwara Swamy in Vemulawada, a small town in Karimnagar district of Andhra Pradesh. The temple town is just 35 kms from the district town of Karimnagar. The unique feature of this temple is that it is a place of worship for both Smarthas and Vaishanavas-the followers of Shaivism and Vishnu. The temple also attracts a large number of Muslims as a mosque is located right within the temple structure. It records the second highest revenue after the Srinivasa temple at Tirupathi. The Raja Rajeshwara temple was built more than a thousand years ago by the Chalukyas of Kalyani. The construction of the temple is ascribed to one of the Chalukya Governors of the area-Rajaditya. An inscription dated 1083 AD reveals more information about this temple. The puranas say that Siva after having stayed at Kashi, Chidambaram, Srisailam and Kedareswaram finally chose to reside here. By the way, Vemulawada was ruled by several dynasties- the Ikshwakus, Satavahanas and later by the Chalukyas who made it their provincial capital. The presiding deity here is Raja Rajeswara Swamy, also called Rajanna. To the right of Rajanna is the idol of Raja Rajeswari Devi and to the left is the idol of Laxmi Sahitha Siddi Vinayaka. On the left of the Rajarajeswara temple is the Kasi Vishveshwara temple. The color of the linga in this temple is pink and it is supposed to have been consecrated by Bheema. This linga is also called the Kasi Vishveshwara Linga. Hence, Vemulawada is also called as Dakshina Kashi. The Anantha Padmanabha Swamy temple is located behind the Raja Rajeswara temple. As Shiva keshava utsavas are conducted in Vemulawada regularly, it also came to be known as Harihara Kshethram. The other temples in the complex are dedicated to Kodanda Rama, Balatripura Sundari, Bala Rajeshwari and Vitaleshwara. The temple of Raja Rajeswara is located next to a small pool which is known as Dharma Kunda. The belief that if one bathes in this pool, it helps in curing skin diseases. The pool has two mantapas with shvalingas. Another unique feature of the temple complex is that a small but beautiful mosque is situated on its premises. The mosque contains the tomb of Muslim saint. It is a sacred place for both Hindus and Muslims. The saint was an ardent devotee of Shiva and he died here more than 400 years ago. He was buried at this very spot and close to the Shiva he idolised. Although devotees make different offerings to Raja Rajeshwara, the most important one is Kode Mokku (offering of a bull to the God). The devotees who bring the bull take them round the temple and tie it in the temple complex. 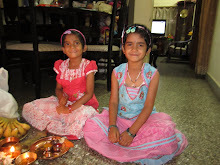 The significance of this ritual is that devotees will be cleansed of their sins and they can beget children. This temple has sculptures depicting stories from Jain and Buddhist texts and stories. Therefore, the temple attracts Jains and Buddhists too. On Shivaratri, lakhs of pilgrims come to the temple where special poojas are held. The Mahaling archana on Shivaratri is performed by about hundred archakas. On the stroke of midnight, Ekadasa Rudrabhishekham is performed to the deity. The temple is brightly illuminated in the night, presenting a fascinating sight. The Bhavishyothara Purana mentions that the Sun God (Surya) recovered from his disability by praying here. Therefore, this place is also called as Bhaskara Kshethram. Indra, the King of Gods, worshipped Raja Rajeshwara and purified himself from Brahmahatya Dosha. Locals say that the during the period from 750 AD to 973 AD when the Chalukyas ruled here, the temple was built by Raja Narendra who was the grandson of Parikshit. Parikshit, in turn was the grandson of Arjuna. (Parikshat was the son of Abhimanyu, the sons of Arjuna). Narendra took bath at the temple pond here and was cured of leprosy which afflicted him when he accidentally killed Muniputra. He later saw both Raja Rajeshwara and his consort. The God and the Goddess then asked him to build the temple and also consecrate the Linga in the temple pond. For Kannadigas, it is a matter of pride that Pampa lived here as the court poet of Arakesari, the second and composed Kannada Bharata which gives us beautiful insights into certain major incidents of the Mahabharata. Pampa was born here. The Chalukyas of Vemulawada constitute yet another branch of the famous Chalukya dynasty. They are different from the Western Chalukyas and the Badami Chalukyas. The Vemulawada Chalukyas were feudatories of the Rashtrakutas and their reign extended over the present day Nizamabad and Karimnagar districts of Andhra Pradesh. Their capital was Vemulawada as the kingdom lasted from 753 A.D. to 973 A.D Apart from Vikramarjuna Vijaya by Pampa, Somadeva wrote Yashastilaka here. In Pampa Bharata, Arikesari, who ruled during the earlier half of the tenth century was the royal patron of Pampa and he is equated with Arjuna, the major protagonist of the work.